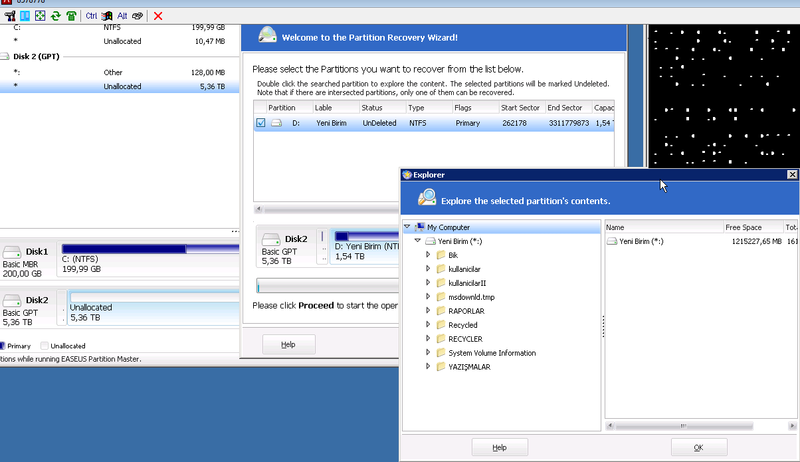 I – Recover Files From Corrupted ISCSI Lun Partition. 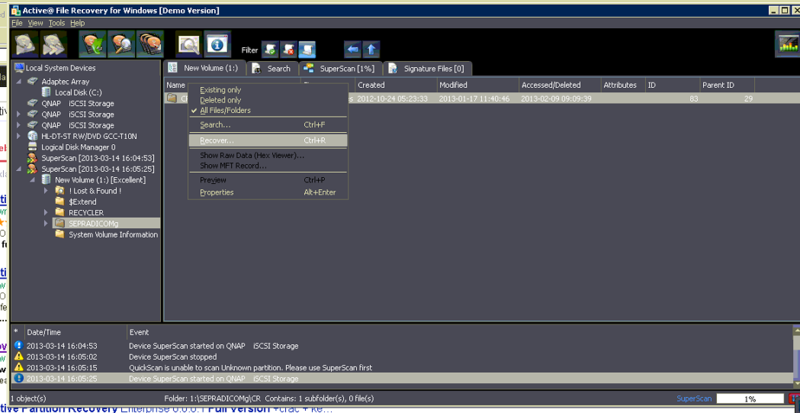 An IT manager in Turkey request help from me about his ISCSI on Qnap seems as RAW / Unallocated file system and he couldnt reach his datas. When I asked him why this error may accure, he said he tried to use his ISCSI on windows 2003 server to windows 2008 server. 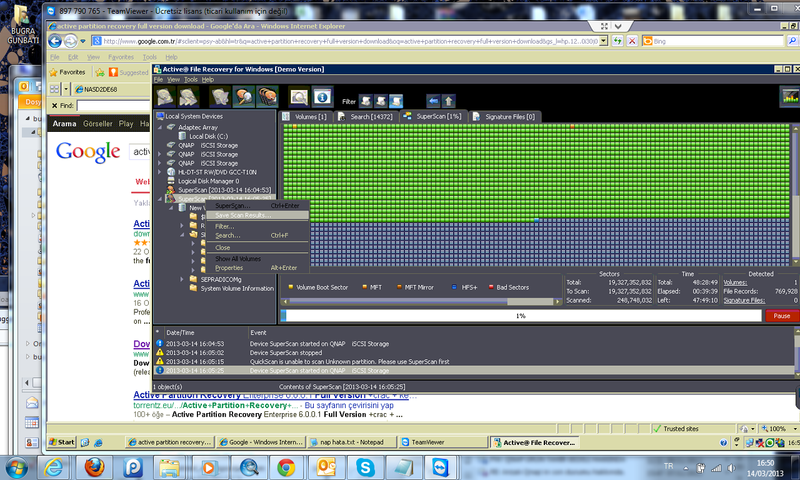 After a little research (around 2-3 hours :)) , I find how to recover these files back again. 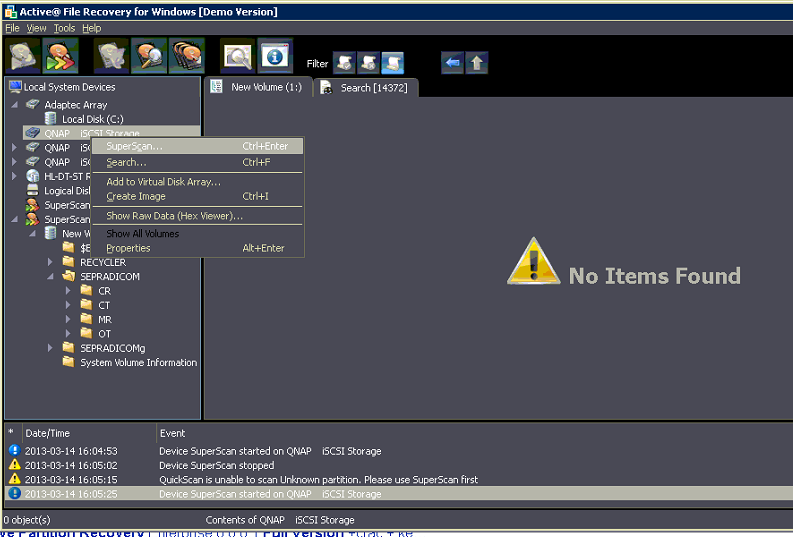 Dont forget, you cant use your windows server 2003 ISCSI direclty to another Windows! 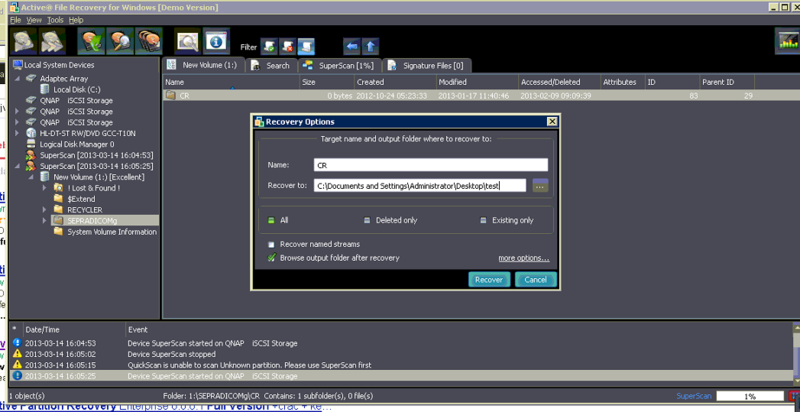 Dynamic Disk Converter is a professional dynamic disk management wizard to optimize your disk type management, with the main feature to directly convert dynamic disk back to basic disk without losing data, It works sector by sector to convert/clone from spanned, striped, mirrored and RAID 5 volume to a basic partition. What’s more, for an unreadable dynamic disk and invalid dynamic disk, it can also professionally revert to basic disk and retrieve the data you desired. 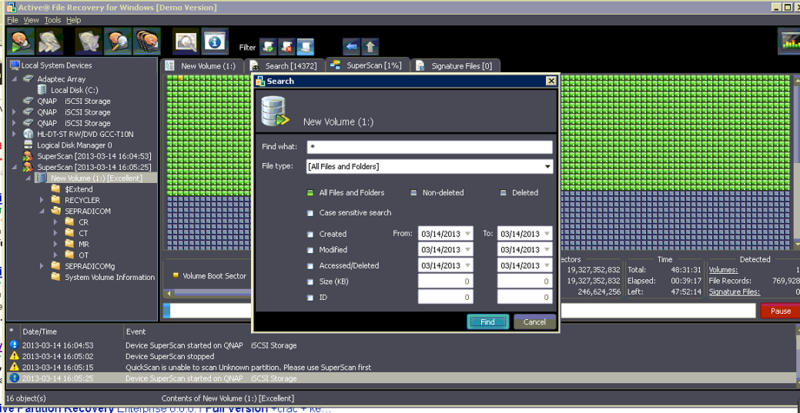 * Support spanned volume, striped volume (RAID 0), mirrored volume (RAID 1) and RAID 5 volume convert (clone) to basic partition. * Ensure system bootable after reverting dynamic to basic disk. * Ensure data security during the conversion process. * Support single disk and volume with the maximum capacity of 2TB. * Support for FAT, FAT32, NTFS, exFAT and others (e.g. ext2, ext3) file systems. * User friendly interface makes your usage more easily and efficiently. 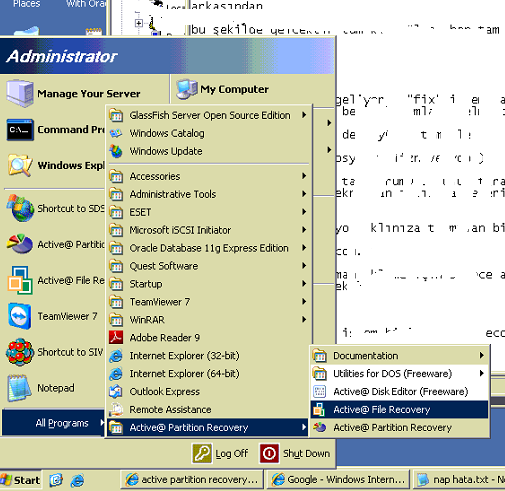 * Smoothly work on Windows 7/Vista/XP/2000 and Windows Server 2003/2008. Have the same issue on a Synology ISCSI drive also like this and what I’ve done was only, follow the example using the software EaseUS Partition Master 11.0, and then select the ISCSI drive and execute the “check partition” and leave the “chkdsk” activated, don’t activate the “Surface Test”. After the chkdsk start and found errors, my second workststion connected immediately.